As we are progressing things are becoming more internet oriented. And websites are becoming more popular and profitable. CMS is in demand and WordPress are the toppers. To make work and life more and more methods are getting developed. FTP is also one of them that makes working with WordPress much easier at points. FTP is the short form of File Transfer Protocol. 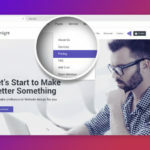 It is a time-saving method that allows someone to upload files from computer to the Hosting Server or website without the need of login in first in the respected account. So, yeah petty cool thing. It not only makes things faster but a whole lot easier. The method lets you enjoy what you are doing like spending time with family and friends without compromising with work. Normally, you don’t need to use FTP. As we have better internet connection and website than before. But then again sometimes we do face some obstacles. And that is life. For WordPress troubleshooting purposes and fixing most common WordPress errors, it is needed to upload a plugin or theme file manually. 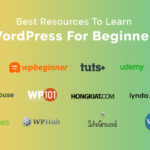 When you do not or cannot log in to WordPress admin area and also do not have your Hosting Server account access, then you have a way to access your WordPress files, like upload any theme, plugins, edit existing theme or plugins and any others files. Thus we are free of hassle and the work is done too. And remember time is money. Do not just chose the best but chose smartly. You have to get FTP for your system before you can start using it. Dah! Obvious. How do you get it? First, you need to set up “FTP Client” on your Computer. 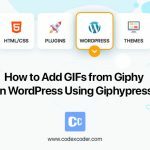 It’s Software to upload files on your WordPress. A list of some of FTP Client Software is given. 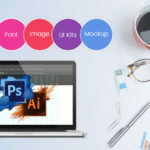 You need to install one of theme according to your Operating System or rather say OS and you are good to go. All of them are free of cost. So no worries, honchos! 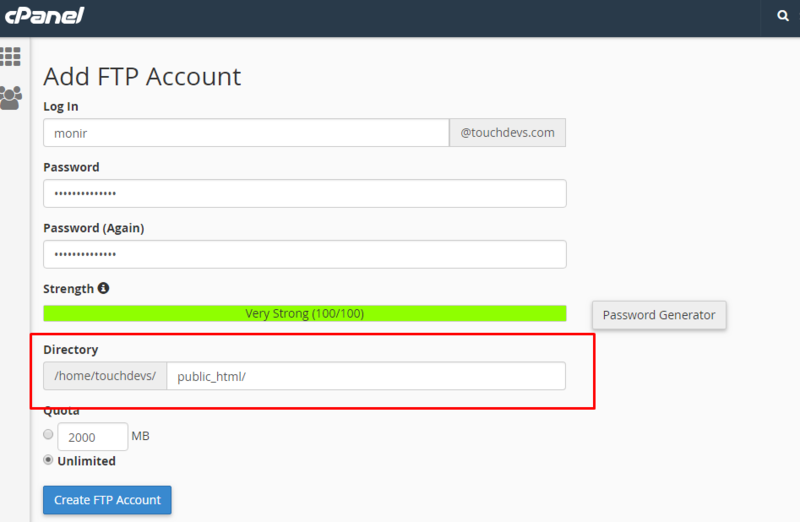 Create an FTP Account from your Hosting Server. Now, here we are using FileZilla as it covers 3 operating system and windows being the most popular one out there. But others do not worry as the basic is the same. In case you fail to get the login credential or cannot find afterward just contact your hosting provider and they will provide you with that information. Give the exact Directory path where you want to access the files. And also limit the Space of this account. Collect your FTP Username from here, the password you already created. But where will you get FTP Host Name? If you use cPanel Hosting so FTP hostname is your domain name: example.com, not use HTTP or https. If you use others Hosting server they have FTP Hostname as well. If you don’t get just ask to your Hosting support. We will log in now by FTP client. After installing FTP Client software will see a shortcut on your desktop. Just open the software and give FTP Hostname, FTP Username and FTP Password and log in. When you FTP Client is connected with Hosting server, in the right column you will see all files and folders of your websites. And the left column is of your Computer folder. To upload a new file just right click on a file and click Upload from the box below. For example, if you want to upload a Theme to your WordPress website. Then first you will need to download the Theme to your computer. After that, you will need to unzip the Theme file. 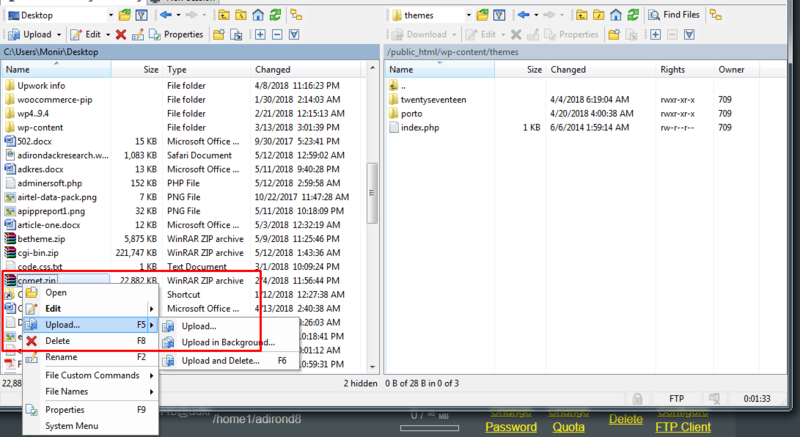 Inside the zip file, you will find the Theme folder. WordPress looks for Themes in the /wp-content/themes/ folder. You will first need to go to /wp-content/themes/ folder in the Remote Site Column. After that, you can upload the theme folder from your computer to your website. And you can also download any file from your WordPress website. 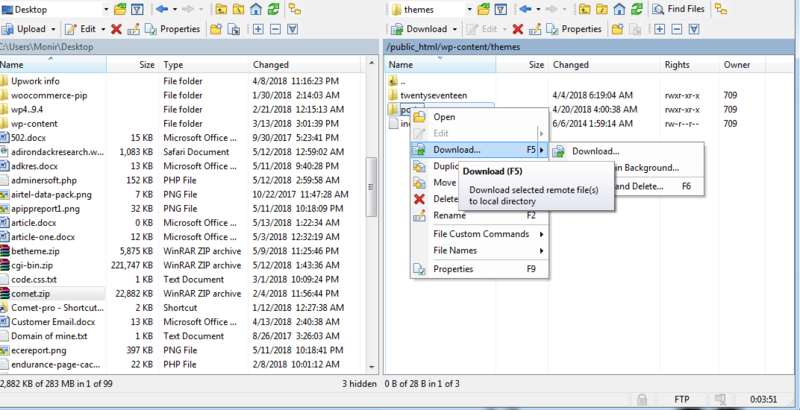 You can use FTP to simply select all files and folders then right click to download to your computer. If you have any question regarding the tutorial feel free to leave a message in the comment section below. We will try to help you out. Also, you can leave any request for a tutorial and ask questions regarding your WordPress.